Lagertha is a badass in real life. I'm not wise at all. I'm just a joker. You are not my brother. You never have been. One of us will die today. I learned from my father the only way to tell if something is real, is to sail there. "The Lord's Prayer" opened with Floki meeting his newborn daughter and behaving very strangely as usual. Though Floki's oddness led us to believe he had a few loose screws, we now know that was all part of the plan. Still, why did he want to name his daughter after Loki's first wife? Helga claimed she was evil, I'm going to have to look that one up. 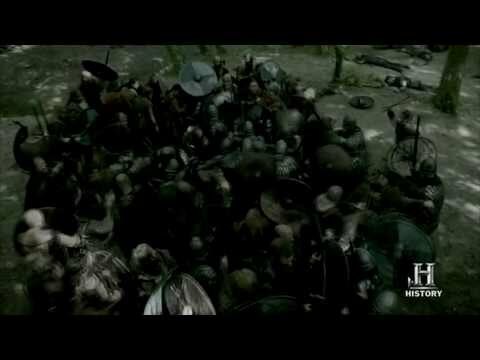 King Horik's entire family arrives in Kattegat and I knew right away things were going to end badly for them. Though Horik's speech painted a very positive picture, we know he was lying through his teeth. Lagertha telling Horik's wife casually how she killed her husband and took his lands was hilarious and the two shared a laugh. Guess we know now who is more badass right? Do you think this show will be good enough to be on television for awhile? Who do you like more, Lagertha or Aslaug? Which season is your favorite so far? 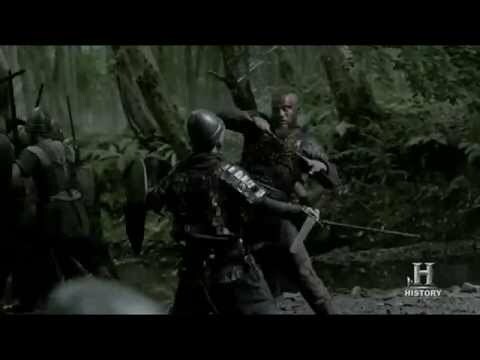 Driven by ambition and jealousy, Rollo agrees to support who against Ragnar in the episode "All Change"?